Fr. Stephen De Young begins his discussion of Acts, Chapter 13. Fr. 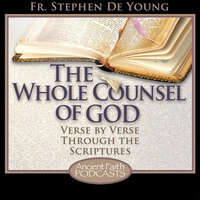 Stephen De Young begins the discussion of Acts 18.